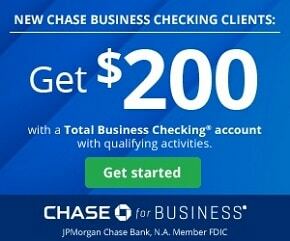 Chase Bank is offering a $200 Bonus when you open a Chase Total Checking® account with direct deposit. 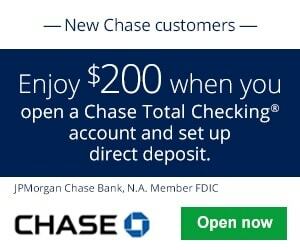 This offer is only available to new Chase customers, or those who have not had a Chase account in the past 90 days. 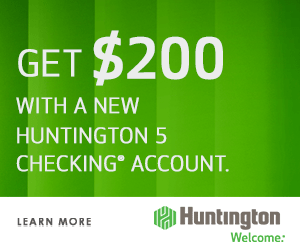 Apply online today or request your coupon to visit a local Chase branch later. 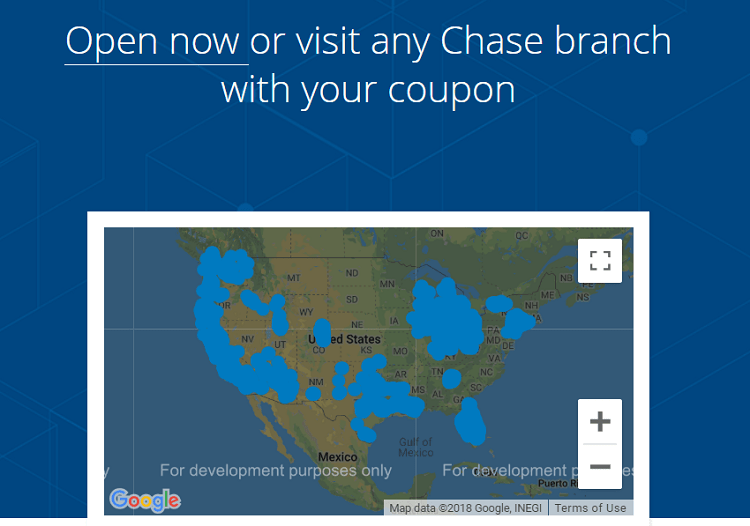 Also, don’t forget to check out our extensive list of Chase Bank Promotions to see what other bonuses Chase Bank has to offer and read what our readers experienced in the comment section! Checking offer is not available to existing Chase checking customers. Offer not available to those with fiduciary accounts, or those whose accounts have been closed within 90 days or closed with a negative balance. After you have completed all the above savings requirements, we’ll deposit the bonus in your new account within 10 business days. 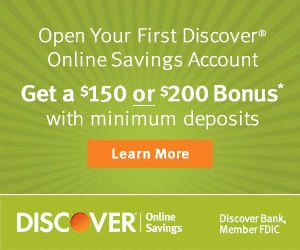 You can receive only one new checking account opening related bonus every two years from the last enrollment date and only one bonus per account. Bonuses are considered interest and will be reported on IRS Form 1099-INT (or Form 1042-S, if applicable). 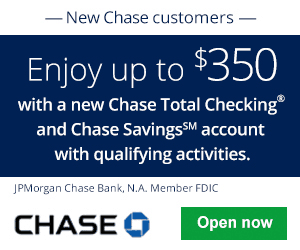 If this promotion intrigues you be sure to either apply online or enter your email address to receive a coupon, then visit a Chase branch and present your Chase Total Checking® bonus coupon. Make sure you have your direct deposit made to the account within 60 days of account opening. Avoid losing your bonus by keeping your account open for more than 6 months. Don’t hesitate to earn this bonus! Make sure to check out our complete list of Best Bank Bonuses! I think its an awesome deal!